Nigerians will soon begin to realise what it means to vote against good luck. If you have been following the debate during the just-concluded elections, then I don’t need to tell you my preferred candidate was President Goodluck Jonathan and not General Buhari. I wrote quite a number of articles warning Nigerians about the candidature of General Buhari in particular and the APC in general. Now that the elections have been won by the APC and lost by the PDP, some triumphalist APC supporters have been asking if I intend to go into exile. No such luck! Since they did not go into exile in the era of Jonathan, neither will people like me go into exile in the era of Buhari. I intend to remain here in Nigeria, the country of my birth, asking when the president-elect will make the naira equal to the dollar, as he promised grandiloquently during the election campaign; and when he will unilaterally increase the international price of oil. My self-appointed job will be that of APC “Remembrancer.” I will not allow our president-elect to forget that he promised to give a handout of 5,000 naira to the poorest 20 million Nigerians; that he promised to feed all the children in public primary and secondary schools; that he promised to create one million jobs for Igbo youths by revamping the huge coal deposits in Enugu State for electricity generation and export; and that he said he will give unemployment benefit to Nigeria’s jobless youths; among other highfalutin promises. Make no mistake about it; the APC will not be allowed to go scot-free from all the lies it told and mischief it caused in its suicide-bomber approach to the election campaign. Buhari’s supporters need to understand that the democratic process neither begins nor ends with elections. It is a continuing process, not amenable to winner-take-all constructs. When a new government comes into power, the opposition does not disappear. Neither does it become silent. No! The opposition goes into opposition. It keeps the government on its toes. It ensures that the new government remains accountable to the people and to its mandate. The point needs to be made that Buhari did not win by a landslide. He only received 52.4% of the votes cast. This margin hardly provides grounds for the hyperbolic cheer-leading that has since overcome some of his more acerbic supporters. Contrary to their triumphant chorale, the other 47.6% of the electorate who do not care for Buhari and did not vote for him are not going to disappear because of his victory. Neither will they remain dumbfounded by Jonathan’s defeat. Then there is the other category of people like me who did not even vote at all. Indeed, I for one did not even register to vote. Nevertheless, all of us remain vital parts of the democratic process. Freedom of expression in Nigeria was neither abrogated nor defeated by the election. Therefore, our voices will continue to be heard during the next four years. In short, president-elect Buhari should enjoy his honeymoon while it lasts. But very soon, he will come to know the difference between being a president and being a military dictator. What goes around comes around. If his supporters can call President Jonathan clueless for six years, they should not burst a gasket if some people decide to call President Buhari “mumu” for the next four years. In effect, in a single-minded lust for power, APC declared imminent war on Nigeria and served notice that it was prepared to set the country on fire and even form a parallel government if it did not prevail. It sent emissaries to our allies abroad running down the country. It even used the national tragedy of the kidnapping of our Chibok schoolgirls as a political weapon with which to browbeat the PDP. Short shrift was made of democratic niceties. While APC supporters were free to campaign in the South, PDP supporters were molested up North. PDP campaign buses were set on fire. PDP billboards were destroyed. Nobody threatened Buhari in the South, even in places like PDP-controlled Cross River. However, Jonathan was stoned in the North, even in PDP-controlled Bauchi. As a result, foreigners packed their bags and headed home. Non-indigenes went back to their states. Investors sold their shares and took their monies offshore. APC publicity secretary, Lai Mohammed, came up every so often with all kinds of ludicrous fabrications about how PDP planned to rig the election. One of the most outrageous to date was the allegation that PDP used disappearing ink on the ballot papers of APC supporters in Ekiti. The PDP was also alleged to have imported one Gyora Berger from Israel, with the mandate to jam all the card-readers in the North West and the North-East. And yet, while all these outrageous allegations were being made, the real rigging had already been fine-tuned by INEC’s lopsided allocation of permanent voter cards. 30,447,943 PVCs were allegedly collected up North, while only 21,785,450 were allegedly collected down South. This means 60% of Nigeria’s voting population is now up North, while only 40% is down South. Even the most contentious of Nigeria’s population census has never come up with this kind of supremacy for the North. Given the attacks, threats and intimidation of PDP supporters up North, it was obvious that this skewed PVC census was front-loaded to make the election of General Buhari inevitable. Thus, we watched as widespread under-age voting took place in the North. We watched as INEC changed the rules midway into the election, allowing manual accreditation up North, while millions of voters were disenfranchised down South through the contrived malfunction of the card-readers. We watched while Kano delivered 1.9 million votes to Buhari, miraculously without a single vote being cancelled. We watched as Kaduna, Katsina, Bauchi and Jigawa delivered their heavy tonnage of votes, while states like Anambra, Imo and Abia became a shadow of past voting patterns. Nevertheless, all the brouhaha came from the South; and from the APC. The APC not only turned out to be dubious winners, they equally turned out to be sore losers. PDP chose not to contest obviously flawed elections where it was declared the loser. Even in Lagos, where the APC Oba turned the governorship election into an ethnic contest by threatening to drown the Igbo in the lagoon if the APC candidate was defeated, Jimi Agbaje chose to overlook the sharp practices of the APC and to accept his rigged defeat. In th end, the APC is said to have carried the day in some 21 states to the PDP’s 8. Nevertheless, the APC is not satisfied. It is the party that continues to contest the polls where it did not prevail. The PDP is prepared to overlook the questionable figures proclaimed for the APC in states like Kano, Kaduna, Katsina, Bauchi and Jigawa. It no longer draws attention to the widespread under-age voting that took place in the North. But the APC would like us to know that the election was rigged in Rivers, Akwa Ibom and Abia. 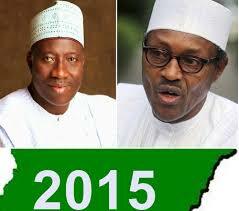 As far as it is concerned, the election is only free and fair when and if the APC wins. It is no wonder, therefore, that the hero of the hour is actually not General Buhari, who prevailed in a flawed election, but President Jonathan, who accepted defeat in a flawed election. That is something Buhari refused to do on three previous occasions when he was defeated. Indeed, after his last defeat in 2011, he gave speeches that provoked riots and killings. He went further to promise us that his defeat this time round would be attended by soaking dogs and baboons in blood. But Jonathan fulfilled his pledge not to allow his ambition to lead to the death of any Nigerian. The jury is still out on whether those of us who supported Jonathan against Buhari were right or wrong. That verdict is not answered by election results. The verdict will only be revealed over the coming four years of the Buhari administration. Buhari and the APC made quite a number of promises during the campaign. Most of these promises were made for the singular purpose of winning the election. Some of those promises are already being jettisoned, even as we speak. There is already an insidious attempt to tamp down the unrealistic expectations of change the APC built up during the campaign. I make no apologies for choosing to rain so early on the victory parade of exuberant Buhari supporters. Nothing about the election result has altered my view that the change the APC proclaims is counterfeit. APC has only succeeded in selling 15.4 million Nigerians a fake bill of goods. It did a masterful job in convincing some that it represents the change we have all been yearning for. However, as Nigerians now begin to open the cartons of the goods sold and bought during the campaign, they will soon discover that they have been conned. Sooner, rather than later, Nigerians will begin to realise what it means to vote against good luck.